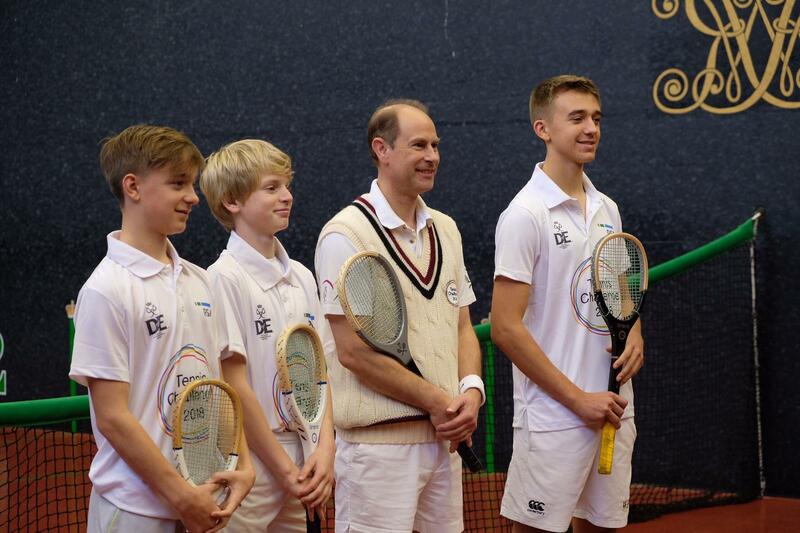 The Earl of Wessex today visited the Royal Tennis Courts as part of a year-long programme of Real Tennis events in support of the Duke of Edinburgh’s International Award. 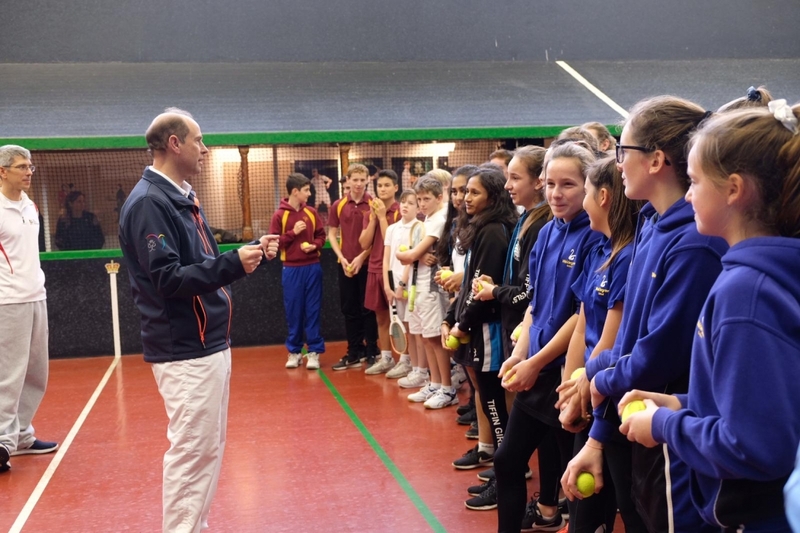 The Earl, who is Chairman of the Award, met students taking part in a masterclass, before participating in a skill session with them. 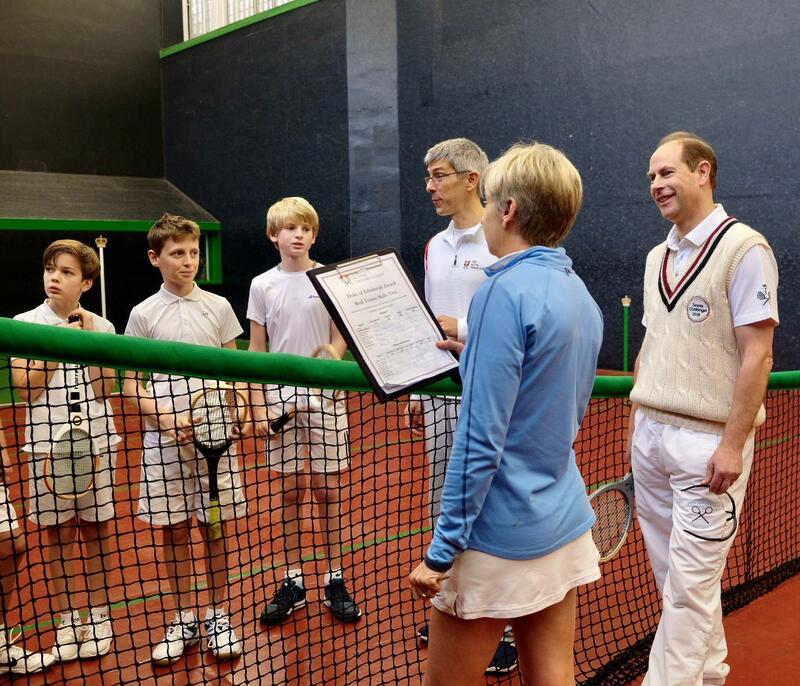 Also during the event at Hampton Court, The Earl played a set with Johanna Konta and Tim Henman. 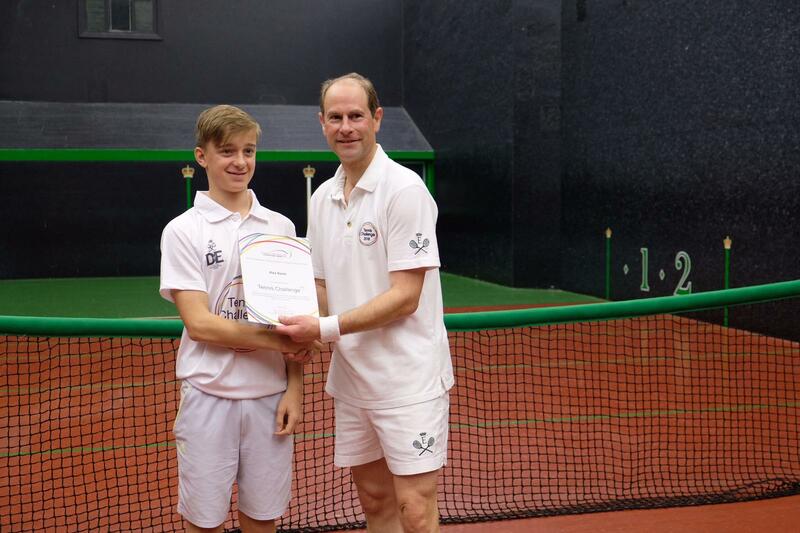 The Earl began playing Real Tennis over 30 years ago, whilst working towards achieving his own DofE Gold Award. It’s hoped that young people who receive their Awards will continue to build upon the skills as he has done and that a new generation of participants will go on to experience the DofE’s life-changing benefits. 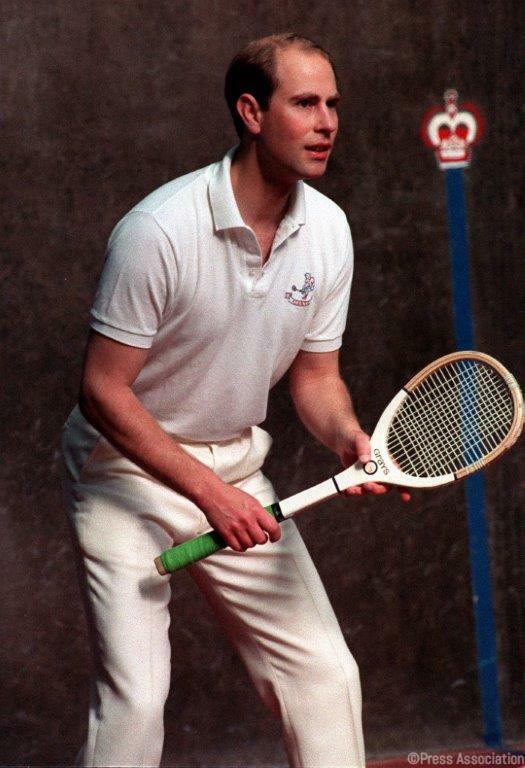 Real Tennis is hundreds of years old and differs from Lawn Tennis in that players use a solid ball and pear-shaped rackets on an indoor court with irregularly sized walls.